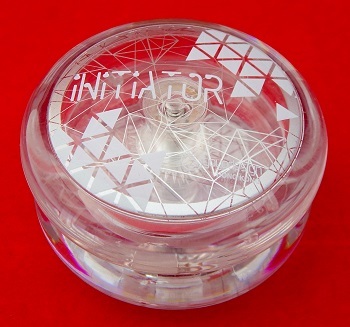 The 2017 Initiator is virtually identical to the 2015 version from C3YoYoDesign. To distinguish between the two, the 2017 came in new colors that did not exist with the 2015 version. And, the 2017 version did not include a pair of white plastics spacers (POM); only metal spacers are now used on the 2017 version. In fact, C3 does not recommend using POM spacers at all in the 2017 version. Looping yo-yos tend to put greater stresses on string due to the yo-yo's high inside walls, starburst response, and very narrow string gap. With this particular yo-yo model, you can use C3's own string, or you can use third party type 6, type 8, or 100% polyester string.